Here are some pics taken today from my HT of 2425 FUE back in November 2007. I am not going to comment too much on them as I feel that the pics tell the story pretty clearly. None of the pics have any concealer. The first 4 pics are how I wear my hair normally and the next two are what I hope no one sees in everyday life. Finally there is a before pic. 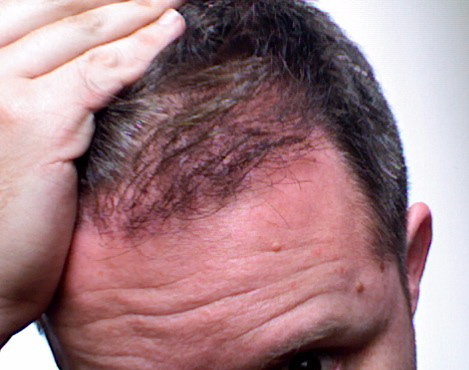 Dr Armani’s office via PATS has offered to do a touch-up but I have decided that I don’t want to risk damaging any more grafts and I think the amount of grafts needed to get me to where I want to be could in no way be described as a “touch-up”. 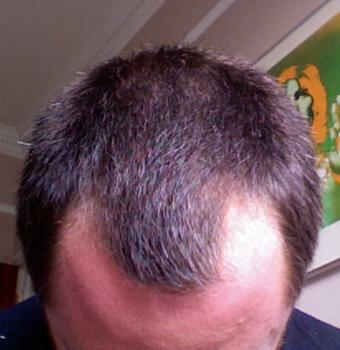 I am currently thinking about Dr Bisanga or HDC to get my hairline to where I would like it to be. Please note I DO NOT give permission for these pictures to be used anywhere outside of this specific thread. How many grafts do you think you need to get to where you want to be? Hey Stingray long time no see. Anyone would be upset as you are because we always expect the density we desire. All I can say is don’t despair and it is not as bad as you think. The temples can using some more thickening up and its good the clinic offered you a free touch up to fill in the small areas - many clinics will brush you off. I wish you all the best bro and choosing to go to BHR is understandable. In the long run you will be just fine. Keep us posted bud. » areas - many clinics will brush you off. » I wish you all the best bro and choosing to go to BHR is understandable. » In the long run you will be just fine. Keep us posted bud. How much density can someone normally expect with 2425? » How much density can someone normally expect with 2425? There is no easy answer for that. It all depends on how densely you wish to fill in a certain area. You can easily do the math yourself. 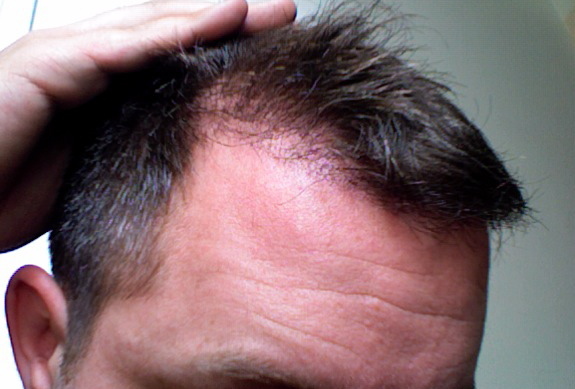 Typical density for a hair transplant can range from 30 to 60 grafts per sq cm in the recipient site. 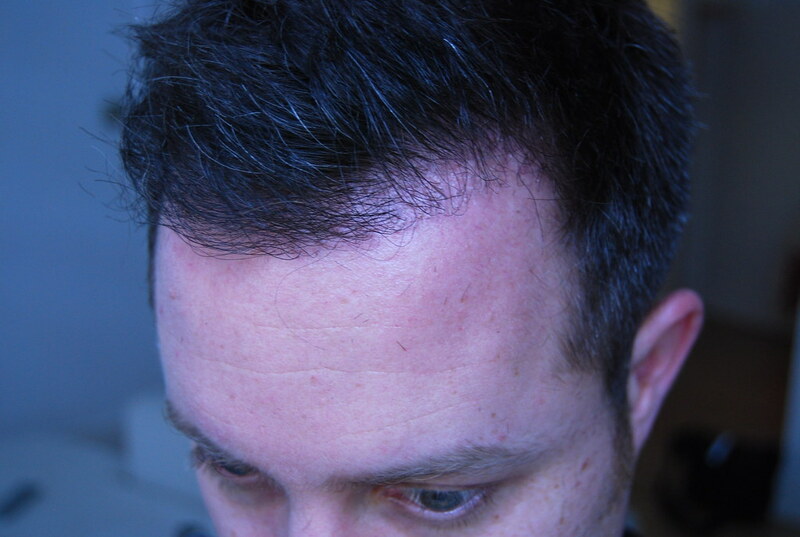 It can go even higher if you want to dense pack the hairline and create a more dramatic result. Some people prefer a slightly thinning look while others want full density. It all depends on your goals and expectations. 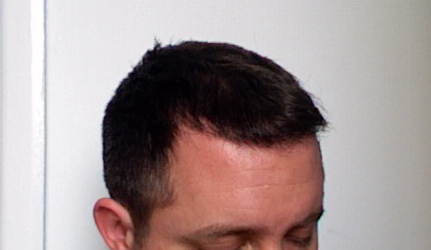 Ya know, for the amount of grafts used the results look pretty good. Although i do agree that the temples could be a little thicker. » hope no one sees in everyday life. Finally there is a before pic. 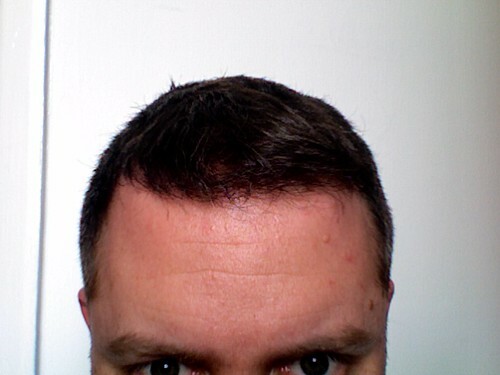 » to get my hairline to where I would like it to be. » anywhere outside of this specific thread. Hi Stingray, hope your well. I personally think your results are pretty good for the amount of hair used when you comb it down. I only see one before picture with your hair combed forward so its not real clear on just how much realestate was actually covered with the 2400grafts. Just my opinion but you may want to revisit taking Alvi or Sara up on the touch up offer. The hairline has been created so in my mind you can really only thicken it up at this point which may yeild the result your seeking. Best of luck to you and please keep us updated. » how much realestate was actually covered with the 2400grafts. » only thicken it up at this point which may yeild the result your seeking. » Best of luck to you and please keep us updated. Hi Stingray. I really hope things work out for you where you end up being 100% happy in the end. I am sure the clinic will do everything they can to try and make things right for you. To the posters here that think this is decent coverage for the amount of grafts used…ARE YE SMOKING CRACK??? Stingray, as mr frodo has pointed out, you haven’t been butchered and you went for a reasonably high hairline which was a good move. BHR are a quality clinic and i think you’ll be right with them. You’ll probably need about another 1500 grafts though. 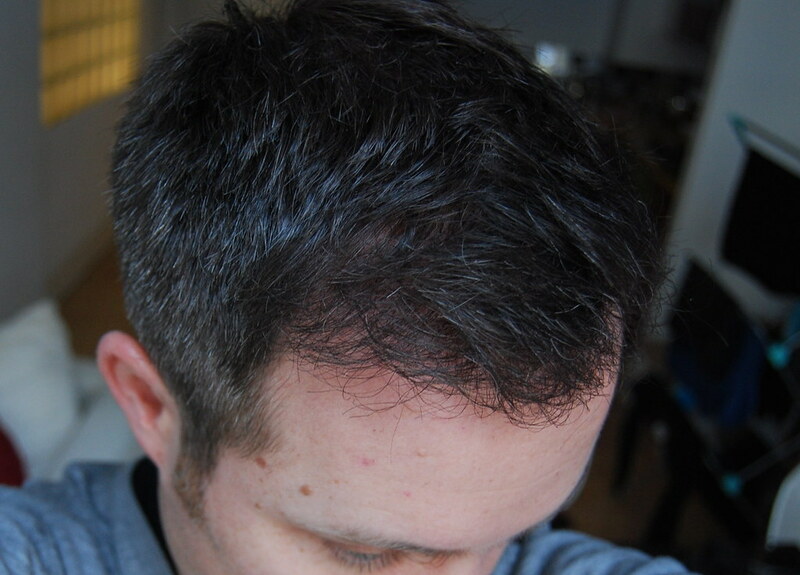 Im a bit surprised at how people dont think this is good coverage for 2450 grafts. I had an extra 1000 & I feel my hair would probably have a similar look if I had 2450. 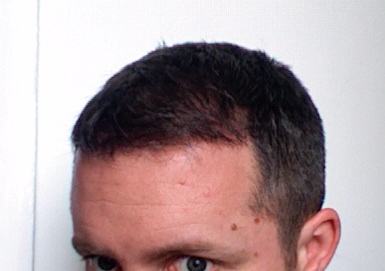 The receding hairlines & temples have now gone & the hairline looks good & zone 2 has good coverage. Well, it looks like full coverage but that is until he lifted his hair when you can see that the temple is not completely filled, I think a video would help settle the score on this one. You can only tell so much by looking at pics. Stingray deserves some credit for coming out with this. He’s brave enough to show his dissatisfying work very publicly. He also did not go on a long angry tirade against the clinic. And he’s not leaving out their gestures to make amends either. He just just explaining the whole story with as little emotion as possible. Compared to other Armani result’s shown here, this is less than flattering. Is Armani this inconsistent with his work? It looks either feast or famine. But when it works it’s wonderful. » zone 2 has good coverage. The only thing that makes this look good is the fact that stingray has a lot of excellent native hair and has grown it out in the final pics. The transplanted area is extremely sparse, maybe 25-30% growth. Absolutely right, Boru. This is poor growth, and the majority of those who have said this is a good result are Armani patients themselves… make of that what you wish. With the two poor results that have recently come out from Armani on this forum I dont see how anyone could realistically roll the dice with these guys. Some results are great, many are not. To those Armani posters who say this is a good result, look at this before and after comparison… appears to be about 10% growth to me… 2500 grafts implanted, I think 250 grew out. » WHAT UTTER GARBAGE !!! 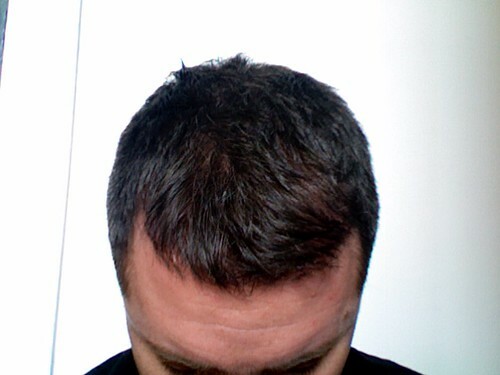 » lot of excellent native hair and has grown it out in the final pics. » The transplanted area is extremely sparse, maybe 25-30% growth. Peter25, its obvious that this HT has not met the Armani standard. I hope stingray gives Armani the opportunity to make it right. All the top clinics have had work that for some reason does not get the yield that has come to be expected of them. Again my wish for Stingray is that his situation is corrected and that he ends up being happy with his results.